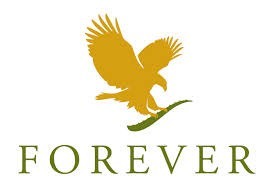 Local Mum Demy Watts works for�Forever Living Products�- the largest grower, manufacturer and distributor of aloe vera and bee products in the world. The company is phenomenally successful and cash-rich; at their global rally at the 02 arena last week, bonus cheques ranging from $4000 - $1000,000 were handed out. The job offers a recession-proof position, working from home, with an uncapped income and is fully supported by Opportunity Sutton as a great way for local mums to earn an income around their children. “It's great because it promises your own business, you choose your own work colleagues and as many holidays as�you want - all while being able to be there for your kids,” says Demy. "I am a busy mum to two young children, Maximus, aged four and my Amelia, aged two," explains Demy. 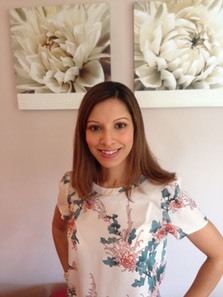 "Prior to having Maximus, I used to work in investment banking in the City but knew that I did not want to return to this environment after my maternity leave and so I looked into buying my own business where I could choose my own working hours." "For the last 3.5 years I have been running Baby Sensory in Clapham and Balham," continues Demy. "The business is very successful but I felt that it was time to move on and have just recently sold it. �Another reason for selling was that I was still operating under a franchise and I felt that I truly wanted my own business where I could be 100% in charge." Demy looked around for quite some time before she stumbled across the opportunity at Forever. �"It really ticks all my boxes as I choose when I want to work, I can still be there for my children but I am also nicely building up a business, part-time and flexibly," explains Demy. "A lot of mums join Forever only wanting a small side income but if you dedicate some time to it, it will quickly grow and you will be amazed at the results you will produce. �I am very fortunate to have a wonderful team around me who have been so supportive and have offered me hope that I can achieve whatever success I want if I am willing to work for it. �I am so excited about the future �- take a chance and seize the day!" Demy is now looking for other mums to become working partners to help build their own part time business. “No previous experience is required,” explains Demy. “Full training and support is provided with high income potential for the right people. No stock or door-to-door sales is involved either.” If you think this might suit you, why not give Demy a call?